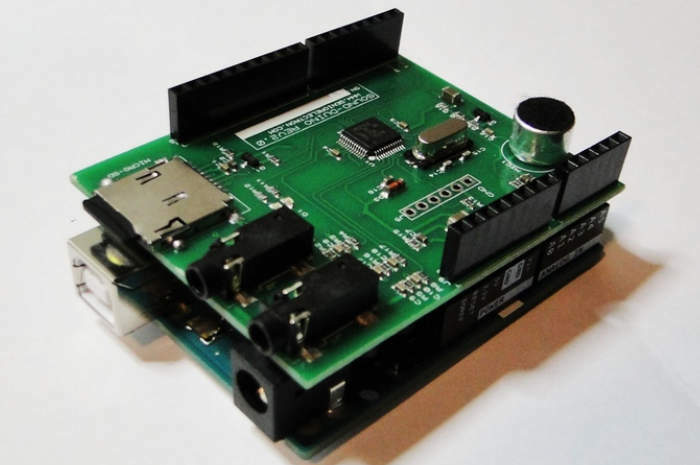 Arduino enthusiasts that are building projects that need audio support may be interested in a new Arduino audio shield which has been created by a serial Kickstarter entrepreneur Masih Vahida. Masih is well adversed to the ways of Kickstarter and has started his 13th campaign to launch the third generation of his SoundDuino Arduino audio shield. Check out the video below to learn more about what you can expect from this new Arduino shield. For more information on the new SoundDuino 3 jump over to the Kickstarter website for details by following the link below.